Just wanted to thank these guys for their quick response to my call for same day service for a clogged drain. The work was performed as quoted and even suggested a preventive type service. Fantastic crew!! 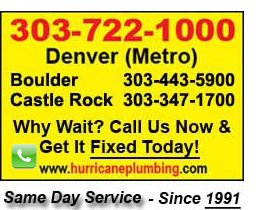 Jeff R.
Hurricane Drain knows what they’re doing and the whole team is very professional and courteous. There’s a reason you see their trucks doing business all over the area, they are that good! Jan A.
Hurricane Drain is great, honest and cost competitive. We had an emergency water main valve leak that we needed same day service. Can’t say enough good about this group. Leroy & Joyce L.